DAVIE, Fla. – March 24th, 2017 – Dental Fix RX, a fast-growing national mobile dental equipment repair franchise, has officially signed a franchise agreement with Tom Stonesifer and Michael Porter, LeMars, Iowa-based entrepreneurs. The agreement marks the 281st franchise sale for the brand, the 7th franchise sale of 2017, and the 2nd mobile repair van to launch in the State of Nebraska. Service Area: Bill’s Dental Fix Rx services the Akron, Ohio area. After a 20-year career in the U.S. Air Force as a Flight Engineer, Bill Fiscus returned to civilian life working with a mapping agency that trained him how to build digital maps over satellite imagery from the ground up. The agency eventually closed their branch, leaving Bill to embark on a new career path. He was attracted to the Dental Fix Rx franchise opportunity because he thought his flight engineer background would parallel nicely with the company’s business model. The business opportunity was a breath of fresh air for Bill. In just a few short years, he has already grown tremendously, exceeding 150 customers in his third year. His goal is to bring in a younger person to train, get them running the territory with him, and eventually buy it so he can retire. Being in a smaller area, my most unexpected challenge was dealing with competitors. For example, one competitor I had was a local independent and retiree from Henry Schein [a worldwide distributor of medical, dental and veterinary supplies]. Normally, local independents have 20-30 customers and are not a big threat, but he happened to be one. It didn’t matter if his customers had problems or not, they were going to call him. Fortunately, I started to build relationships and was able to establish myself. I did most of my research online. Even though I have a Master’s degree in business, I come from a primarily military background with barely any operational civilian experience. I was looking for a franchise to help me on that end: I can take care of the maintenance, but I knew I would need help operating the business. Through talking with Scott Mortier and Matt Lau, who happens to be a 23-year Air Force veteran, I was able to quickly form lasting relationships and gained the confidence needed to know I could be a successful entrepreneur with their help and support. Have an open mind when it comes to business ownership because owning a franchise is a lot of work. It’s also important to expect a lot of the unexpected. Going into a small business, you are going to run into some obstacles you didn’t expect to find, so work hard and don’t get discourage. Finally, work with the other franchise owners. It’s amazing how much we collaborate and work together as a team. DAVIE, Fla. – Annapolis, Maryland entrepreneur Ryan Clark is the first Dental Fix Rx franchisee to begin to secure financing through the company’s partnership with Funding Wonder, a digital social lending community at www.fundingwonder.com. Clark, who will be providing dental equipment repair services to dental practices throughout the Annapolis market, is seeking financing for a business loan. 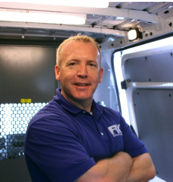 The funds raised will support the launch of his new Dental Fix Rx business, helping cover costs of training and buildout of his specially designed mobile service center van, which allows him to service customers onsite. Financing through Dental Fix Rx’ relationship with Funding Wonder is available to franchisees with $25K in liquid capital and a 670 credit score. The funding is available to help franchisees set off on the right foot, covering several aspects imperative to launching a Dental Fix RX franchise – including the franchise fee, van buildout, working capital, training and training-related travel costs. Earlier this month, Dental Fix RX was named by Entrepreneur magazine as one of the top franchises in the nation with an investment under $100,000, ranking No. 40 on the 2017 list. The national mobile dental equipment repair service franchise has sold or opened a new unit each week for the past 40-plus months. In 2016, Dental Fix Rx signed 40 new franchise agreements, bringing its total footprint to more than 250 franchises that service over 18,000 customers throughout North America. Company executives expect to sign another 40 franchise agreements in 2017 and sell all U.S. territories within the next three years. DAVIE, Fla. – March 20th, 2017 – Dental Fix RX, a fast-growing national mobile dental equipment repair franchise, has officially signed a franchise agreement with Valentin Olah, a Savannah, Georgia-based entrepreneur. The agreement marks the 280th franchise sale for the brand, the 6th franchise sale of 2017, and the 8th mobile repair van to launch in the State of Georgia. DAVIE, Fla. – March 17th, 2017 – Dental Fix RX, a fast-growing national mobile dental equipment repair franchise, has officially signed a franchise agreement with Mike Coticchio, a Wantagh, New York-based entrepreneur. The agreement marks the 279th franchise sale for the brand, and 5th franchise sale of 2017, additionally Coticchio’s franchise will be his 2nd, and the 9th mobile repair van to launch in the State of New York. DAVIE, Fla. – March 16th, 2017 – Dental Fix RX, a fast-growing national mobile dental equipment repair franchise, has officially signed a franchise agreement with Chad Ritter, a Bechtelsville, Pennsylvania-based entrepreneur. The agreement marks the 278th franchise sale for the brand, and 4th franchise sale of 2017, additionally Ritter’s franchise will be the 4th mobile repair van to launch in the State of Pennsylvania. DAVIE, Fla. – Dental Fix Rx was named today by Entrepreneur magazine as one of the top franchises in the nation with an investment under $100,000. Ranking No. 40, the national mobile dental equipment repair franchise is featured in the Spring 2017 issue of the publication’s quarterly Startups magazine. The magazine’s Top Franchises Under $100,000 list is based off its annual Franchise 500® rankings, which ranked Dental Fix Rx at No. 185. The Franchise 500 is noted as the world’s first, best and most comprehensive ranking of the top franchise opportunities in the United States. It recognized Dental Fix Rx for its exceptional performance in areas such as financial strength and stability, growth rate and size of the franchise system. The dental equipment repair sector is a $38 billion industry, and Dental Fix Rx has the right systems and programs in place to capture it. The company is consistently creating new programs that add value to franchisees and their customers, as well as establishing new relationships for its franchisees with big players in the dental industry. For example, Darby Dental Supply, the nation’s largest all-telesales dental products distributor, became an equity partner in Dental Fix Rx in February 2016. Beyond the equity stake in the company, through this relationship, Dental Fix Rx franchisees are able to offer Darby Dental Supply products to dental practices and also provide dental equipment service and repair to Darby Dental Supply customers. 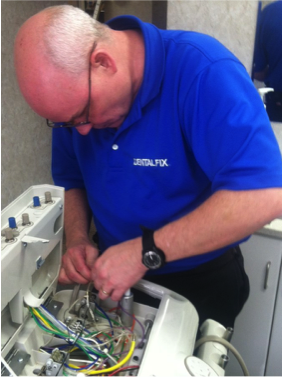 DAVIE, Fla. – Dental Fix Rx, a North American mobile dental equipment repair service franchise, has signed a Master Franchise Agreement with Calgary-based serial entrepreneur Paige McCutcheon, for the master rights to develop the franchise in the Canadian province of Alberta. As a master franchisee, McCutcheon will operate his own Dental Fix Rx franchise in Calgary as well as spearhead growth within the province by selling Dental Fix Rx franchises to local entrepreneurs. His goal is to add three more Dental Fix franchises by the end of the year and have five units in operation within the next three years. McCutcheon will initially be targeting the Calgary and Edmonton markets for franchise expansion. McCutcheon has a 30-plus year career as a General Contractor and a Logistics Specialist. The first 25 years of his career were spent with an event company, leading development and operations for many high profile events including the 1988 Olympics, The Rotarian World Conference and The World Police & Fire Games, among numerous others. His career then transcended into operations and logistics while working for a premier hospitality organization, where he was responsible for the development and construction of numerous hospitality facilities including restaurants, nightclubs, pubs and remote lodges. He served as lead on several multi-million dollar projects, including ones in urban high-rises and facilities in rural, remote areas where logistics of the development proves challenging. Most recently, he has lead logistics for various development and construction projects throughout North America. Dental Fix Rx has sold or opened a new unit each week for the past 40-plus months. In 2016, the company signed 40 new franchise agreements, bringing its total footprint to more than 250 franchises throughout North America. Nearly 20 of these franchises are located in Ontario and British Columbia. Company executives expect to sign another 40 franchise agreements in 2017. The dental equipment repair sector is a $38 billion industry, and Dental Fix Rx has the right systems and programs in place to capture it. The company is consistently creating new programs that add value to franchisees and their customers, as well as establishing new relationships for its franchisees with big players in the dental industry. For example, the Darby Group, the nation’s largest all-telesales dental products distributor, became an equity partner in Dental Fix Rx in 2016. Beyond the equity stake in the company, through this relationship Dental Fix Rx franchisees are able to offer Darby Dental Supply products to dental practices and also provide dental equipment service and repair to Darby Dental Supply customers. Launched Their Dental Fix Rx Franchise: Opened the first territory in February 2010. Launched the second territory in June 2011. Owns a third territory in the San Antonio area but has not opened it yet. After high school Michael served for seven years in England’s Royal Navy. There he developed a lot of hands-on technical skills repairing and working on helicopters and other equipment. He came to the United States in 2005. Prior to becoming one of the original Dental Fix Rx franchisees in the system, Michael was in the financial services and insurance industry for 13 years where he gained his sales experience. He also owned his own business, Monarch Financial Management, for five of those years. Attending a franchise conference, a picture of a Dental Fix Rx service van caught his attention. From there he saw the value of the emerging brand that was providing a unique and needed service experience for dental professionals. Being a self-motivated man, he knew that the business opportunity would be a fitting outlet for his sales and mechanical skills. With Dental Fix Rx founded in 2009, Michael was one of the original franchisees that took advantage of the business opportunity. Seven years later, Michael continues to be a successful entrepreneur that has expanded his business to keep up with the high demand for faster and more affordable repair options. In 2014, he was awarded Franchisee of the Year at the company’s first annual conference. Q: Since you’re one of the original franchisees, how have you seen the franchise change? It’s a lot easier to get started now than it was when I began. Since I’ve been with the franchise in its early years, I’ve seen how much the brand has evolved for the better. The equipment is more technically advanced and there is a lot more resources provided by the franchisor for the franchisees. One example is the new partnership with Darby Dental; that’s really starting to pick up and it’s a good feeling when you see it paying off. Through this relationship, Dental Fix Rx franchisees are able to offer Darby Dental Supply products to dental practices and also provide dental equipment service and repair to Darby Dental Supply customers. With my expansion plans, the biggest challenge I’m facing is finding the right people to help me grow my business. I have found a great employee, Adam Burkhart, who has been helping me service my two territories. It’s important to hire the right people and make sure they have a strong work ethic. Adam and I have been working together for almost three years now. Q: What advice do you have for individuals who want to own their own Dental Fix Rx? Understand that this is more about sales and establishing those personal connections with the dentists. This business is all about selling yourself. The dentists are already using some type of service. You need to gain their trust so they become dependent on only you. The key is just getting your foot in the door because once they experience the faster fix and your exceptional customer service, they’re going to want to keep working with you. You have to believe that you’re the better option and prove it. Q: Initially, the first six to 12 months of owning a small business are the hardest. Tell me about your experience. How did you stay positive and motivated? Taking into account that strong relationships don’t develop overnight, but know that they will slowly begin to build up. It’s simple, but it’s important to just be honest. I do what I say I’m going to do. I try to make it fun for myself and the dentists. It’s no secret that everyone spends a lot of time at work, so you might as well make them laugh and always over-deliver on the promise. If you say you’ll get it done by Friday, have it ready by Thursday. DAVIE, Fla. – March 7th, 2017 – Dental Fix RX, a fast-growing national mobile dental equipment repair franchise, has officially signed a franchise agreement with Steven Holtzman, a Valley Stream, New York-based entrepreneur. The agreement marks the 275th franchise sale for the brand, and 2nd franchise sale of 2017, additionally Holtzman’s franchise will be the 8th mobile repair van to launch in the State of New York.